UNITED STATES: A new report into deploying large-scale offshore wind off the Californian coast will pose a number of major planning hurdles. The report was written by Robert Collier, a research and policy specialist on the Green Economy Program at the University of California, Berkley's Center for Labor Research and Education. Collier claims floating wind turbines would be best suited to the region off southeast US as the seabed "slopes steeply downward into deeper waters". He said this, combined with the fact floating turbines could reach over 210-metres, means large projects create a logistical challenge not previously experienced in the state. "These [logistical] needs, in turn, require an extensive supply chain. Ensuring that this supply chain takes root in California rather than in Asia or Europe would require major upgrades to California's infrastructure for ports, transportation, and transmission. The payoff would be creation of a new economic sector..." Collier said in the report. In support of offshore wind, Collier claims wind capacity off the coast would provide in-state grid balancing, and "bridge the daily late-afternoon gap between fast-vanishing solar output and rising residential electricity consumption". This would reduce the need to import wind power from states like Wyoming. Collier also cited a 2016 analysis by the National Renewable Energy Laboratory (NREL), which stated an "economically feasible build-out of 16GW of offshore wind would create steadily increasing employment totalling an annual average of 13,620 full-time jobs in construction, installation, and manufacturing by 2040-2050, and 4,330 full-time, long-term jobs in operations and maintenance". Some of these jobs, Collier also noted, could be filled by the retraining of workers at the nearby nuclear plants that are being decommissioned or due to retire in 2024-2025. 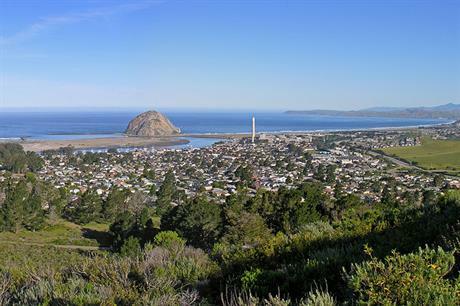 The US' Bureau of Ocean Energy Management (BOEM) is currently identifying the interest from the market for the development following an application from Trident Winds for a 765MW floating wind site off Morro Bay. BOEM is expected to return a decision whether to award Trident the licence or to open it up to tender in early 2018. Collier recognised costs of offshore wind, particularly floating, have fallen quickly in the last few years, but admitted lower costs could only be achieved in California if a local supply chain was established. "In European offshore wind ports, the factories and other facilities for turbines, blades, towers, and foundations are grouped in large, hi-tech clusters of advanced manufacturing akin to those in the passenger airliner industry," the report author wrote. "Creation of a significant supply chain within California might require similar clustering and would be a complex process, but it would be more likely to occur if policymakers explicitly adopt it as a priority," Collier added. Early projects may depend on imported components, Collier said, but if policy-makers could afford certainty to companies and investors, it would attract them to set up in the state. However, Collier admitted offshore wind has a "chicken-or-the-egg problem". "Manufacturers are unlikely to invest hundreds of millions of dollars to build factories for turbines, blades, towers, and floating platforms unless their market has a high degree of certainty... But they might not be able to compete against other low-carbon power sources unless they have local manufacturing capacity." In his conclusion, Collier said the development of offshore wind was a "Rubik's Cube of policymaking". He identified a number of benefits of setting up the industry, but to achieve this, "multi-stakeholder ecomic planning is a difficult juggling process, and even more so for the long term".